FAGAN: How Would You Rule In The Case Of The Death Of A Child Left In A Minivan? The second most painful thing someone can experience in life has to be the death of a child. The only thing more painful is knowing you accidentally caused it. One of the key roles of a parent is to protect their child. Last Thursday, 40-year-old Sheng Li of Metairie failed miserably. 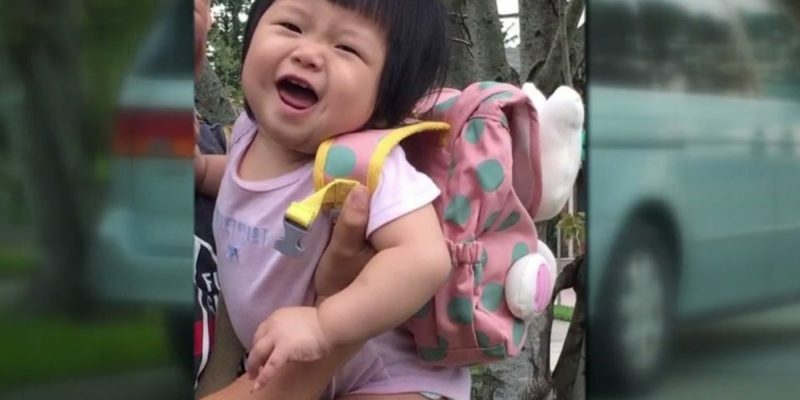 Li buckled up his 11-month old child, Claire, in a backward facing car seat in his minivan and intended to take his daughter to daycare. Li’s wife normally takes Claire to daycare but on this day the job was Li’s. But for some reason difficult to comprehend Li forgot his daughter was in the backseat of his minivan and instead of going to daycare he drove directly to work. Police say Claire was in the car the entire day with temperatures rising to as high as 155 degrees. She died of heatstroke. That evening Claire’s mother went to daycare to pick her up but discovered she was not there. She called her husband who was home cooking dinner for their other child, a 4-year old boy, when he quickly realized he had left his daughter in the minivan. He ran outside and found her dead. Li’s attorney, Louisiana Legislator Joe Marino says his client is devastated. The DA’s office is not commenting. Sheng Li and his wife recently moved to Metairie from China and according to his attorney was hoping to get a green card for legal permanent residency. The negligent homicide charge would make that impossible. There’s no evidence Mr. Li left his daughter in a hot minivan all day causing her death on purpose. Although it is odd that he drove home from work that day with Claire’s dead body still in the back seat and not realizing it. The question is should Mr. Li be charged with negligent homicide and should he see jail time? One could ask what’s the benefit of sending Mr. Li to prison? It could serve as a wake up call to other parents to make sure they always know where their child is. But really how many parents intentionally leave their kids in a hot car? My guess is of the 36-kids who died of heatstroke after being left in a car in the U.S. this year, the vast majority of them had to be from parents who just simply forgot about them. Is losing a child and facing the overwhelming guilt and excruciating pain of knowing you accidentally caused their death punishment enough? There is no arguing Mr. Li was a bad parent last Thursday and getting to his job was clearly more prominent in his mind than the welfare of his child that day. Most parents I know are usually fully aware of their kids whereabouts and well-being. It’s always on their mind. Especially mothers. I don’t have any children so I am not in a good position to know what the father was thinking that would allow him to forget about his child in the way he did. I would love to hear from parents, especially fathers on this. Please leave your comments below on what you think should happen with Mr. Li. ​Dan Fagan is a former television news reporter, journalism professor, newspaper columnist, and radio talk show host. He grew up in New Orleans and currently lives there. He is a regular contributor for The Hayride. If you have a news tip for Mr. Fagan you can reach him at [email protected] or 504-458-2542. Next Article Does John Bel Edwards Want To Be John Kasich When He Grows Up?